The NFL and the media leave some of the greatest stories in NFL history on the cutting room floor. It gets old that the only stories recounted are those centered on the 49ers, Cowboys, Steelers, and Packers. The league is too vast to just talk of a few glamour teams when others deserve their due and have stories just as rich. 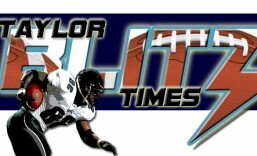 Remember when the Dallas Cowboys went from 1-15 to 7-9 in 1990 and CBS, ESPN, Sports Illustrated, etc. acted like Moses had just parted the Red Sea? This turnaround was NOTHING, I repeat nothing compared to what the 1981 Cincinnati Bengals pulled off. Imagine a perennial loser winning 6 more games than the season before, then 2 playoff games and coming within 5 points of winning the Super Bowl after having a losing season the year before. Can a team really change its stripes?? Actually in 1981 the Cincinnati Bengals did. Gone were the drab orange helmets with the dull “Bengals” written across it being replaced by simulated tiger stripes on the helmets, jerseys, and pants. Back then teams rarely changed their uniforms at all…there wasn’t NFL Properties and Pro Shops back…huh? *whispers off stage*… We’re not talking actual stripes? Oh about how a team plays…got it…Where were we? 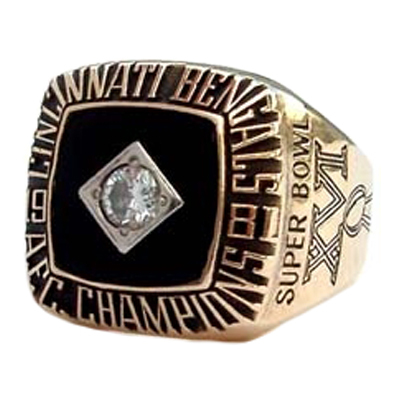 The 1981 Cincinnati Bengals had one of the three greatest turnarounds in the history of the NFL. 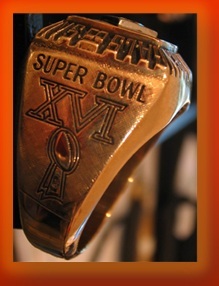 From a 6-10 season to 12-4 AFC Champions, and having lost in one of the most competitive Super Bowls of the first 16 games. Don’t forget this is before ALL of free agency as we know it today which includes the defunct “Plan B” free agency of the late 80’s. How did they do it? Having been a member of the 1960’s Green Bay Packers, Head Coach Forrest Gregg infused Lombardi-esque work ethic and toughness into Cincinnati. This team’s belief in itself actually began in 1980 when they stood up to perennial division and league champion Steelers sweeping them in both games. THIS SWEEP ended the Steelers dynasty and allowed the Cleveland Browns to win the division. Cleveland finished 11-5 to the Steelers 9-7 and since they split their games, Browns winning by 1 and Steelers winning the other by 3 points.. In the event of a tie breaker with the same record, Pittsburgh would have won the division. With new-found confidence they battled the Browns to the bitter end in the season finale, losing 27-24 in a great game where the lead changed hands 6 times. Yet the seeds for the next year had been planted. The 1981 team was bouyed by a youthful enthusiasm stemming from several good young players who didn’t have that Bengal loser baggage of the previous decade. WR Cris Collinsworth was a rookie sensation with a 1,000 yd season. OT Anthony Munoz, building his Hall of Fame resume’ was in his 2nd year. Throw in DB Louis Breeden, rookie DBs the late Bobby Kemp, and Robert Jackson. Rookie WR David Verser and this team was younger at many key positions. On to the game this team is most remembered for, winning the 1981 AFC Championship game in -59* wind chill over the Chargers 27-7. Yikes!! The poor Chargers had to play in a temperature difference of 140 degrees just 1 week after the “Epic in Miami” which they stood NO chance of winning. There were heated buses outside Riverfront Stadium in case fans needed to heat up. Temperature difference withstanding, the divisional game against Miami went into 6 quarters in high humidity, so the Chargers were exhausted. Well win more games and get home field advantage next time. Since they weren’t used to the cold, the Chargers were dismissed easily by the Bengals. 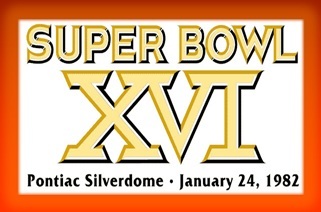 Then of course SuperBowl XVI against the San Francisco 49ers in the Silverdome. Where they came within a goal line stand of producing the greatest turnaround in Super Bowl history. They were down 20-0 at the half and were held off 26-21 after a furious second half rally. 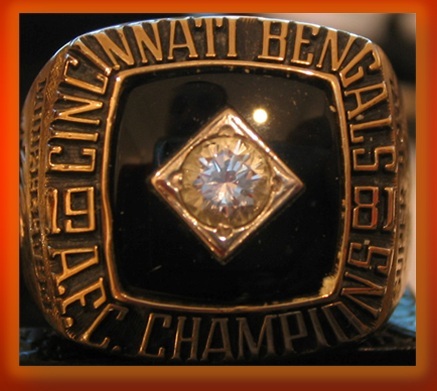 This entry was posted in Ring of Champions and tagged 1981 Cincinnati Bengals, Anthony Munoz, Bobby Kemp, Cincinnati Bengals, Conference Championship Rings, Cris Collinsworth, Forrest Gregg, Ken Anderson, Ken Riley, Louis Breeden, Super Bowl, Super Bowl XVI. Bookmark the permalink.